A man has been arrested on suspicion of murdering a man who was stabbed while trying to defuse a fight. 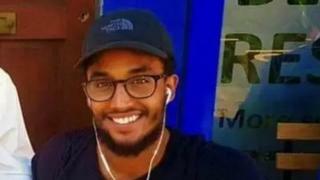 Zakaria Bukar Sharif Ali, 26, was attacked outside the Rolling Stock bar in Hackney, east London, in November. A 35-year-old man has been arrested on suspicion of murder and violent disorder. A 18-year-old woman had previously been arrested on suspicion of assisting an offender but was bailed pending further inquiries. There were 132 murders in London in 2018, the highest rate for a decade.